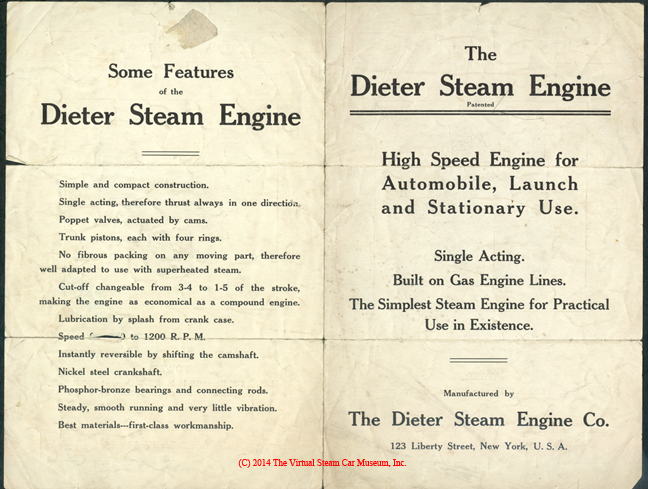 The Dieter Steam Engine Company produced very sophisticated steam engines for boats and automobiles. At some time, the company had a relationship with August Olfeldt & Sons. 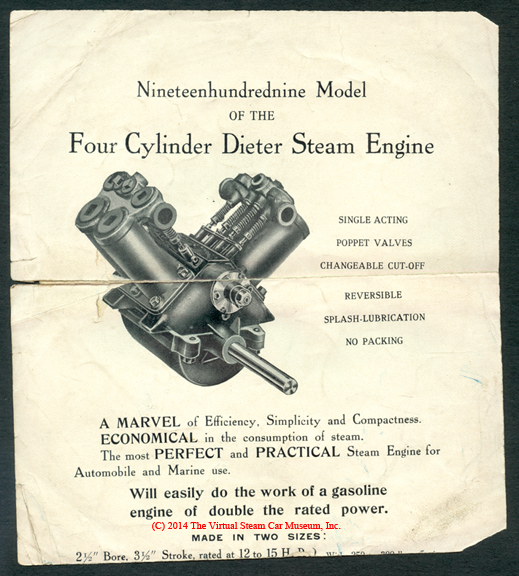 This advertisement, found in Floyd Clymer's steam car scrapbook, illustrates Dieter's three-cylinder, in-line engine in combination with August Ofeldt's Semi-flash Boiler.. 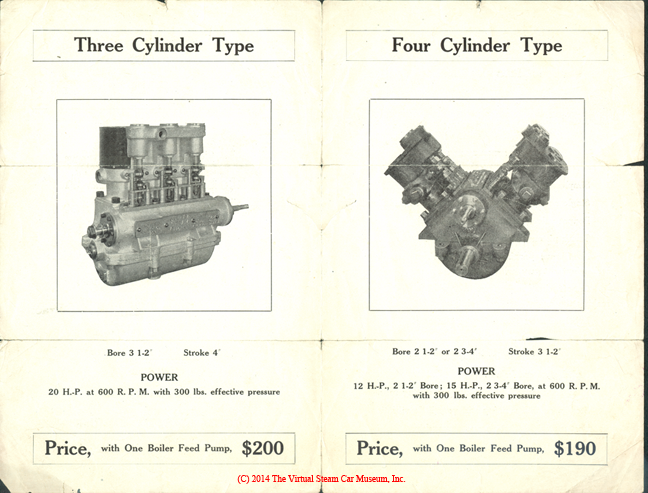 This four-page brochure promoted Dieter's three-cylider in-line engine as well as its four-cylinder V engine design. The reference to having been inspired by gasoline engines is interesting. 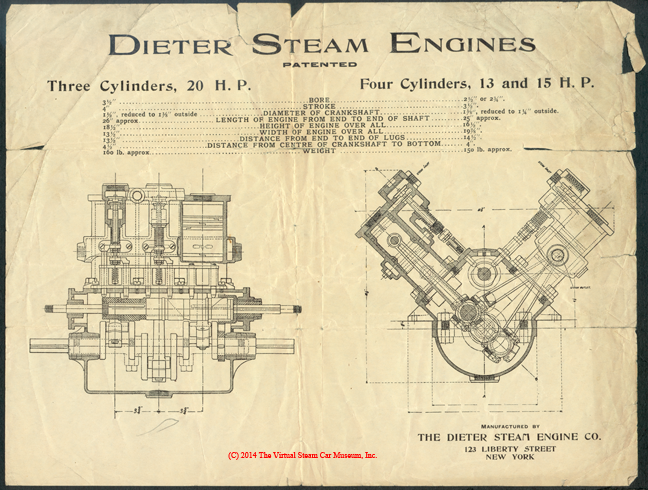 Dieter advertised two steam engines on this drawing, a three-cylinder 20 hp engine and a four-cylinder 13 hp or 15 hp engine. 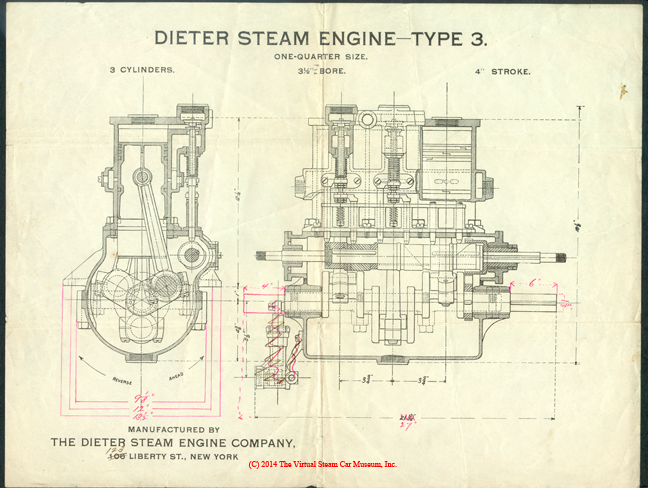 The Dieter Steam Engine Type 3 drawing. Note the address change from 106 Liberty Street to 123 Liberty Street. 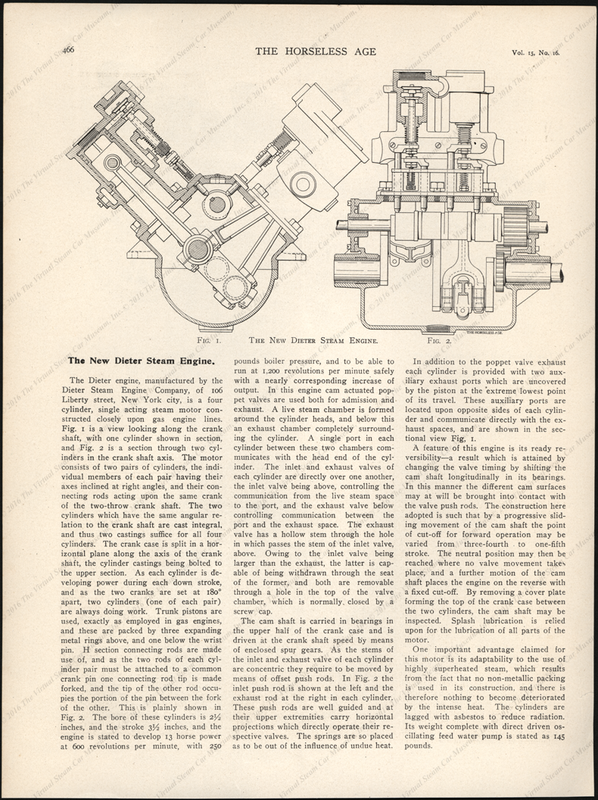 The 1909 version of Dieter's four-cylinder, V engine. This Dieter Steam Engine advertisement appeared in the November 29, 1905 issue of Horseless Age. Contact us if you have additional information about the Dieter Steam Engine Company, or if you have questions.